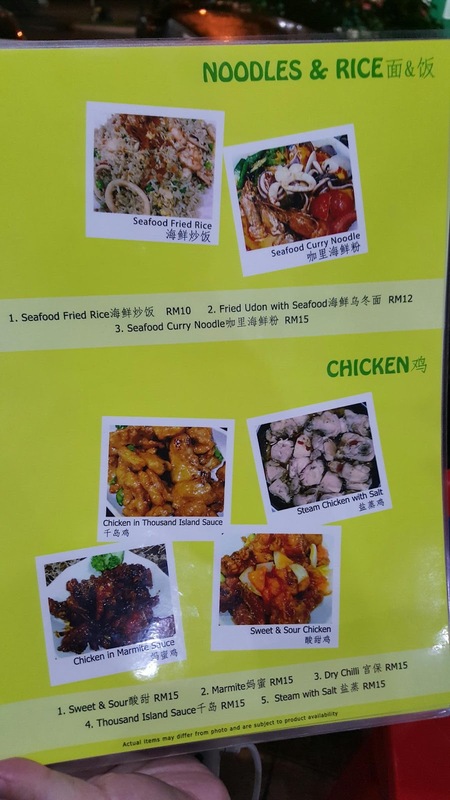 Ocean Seafood Restaurant is Chinese restaurant which located at Bandar Puteri Puchong with the concept of RM15 per seafood dishes, which including crab, prawn, scallop, fish, sea cucumber, clams etc. We were there around 9pm weekday, still we were on the waiting list. Luckily their turnover was quite fast. After around 20 mins, finally it's our turn! 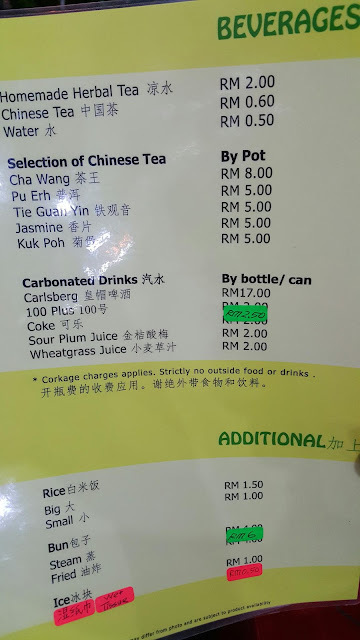 Order our food while we were in waiting list. Managed to snap some photos of their menu while waiting for our turn! 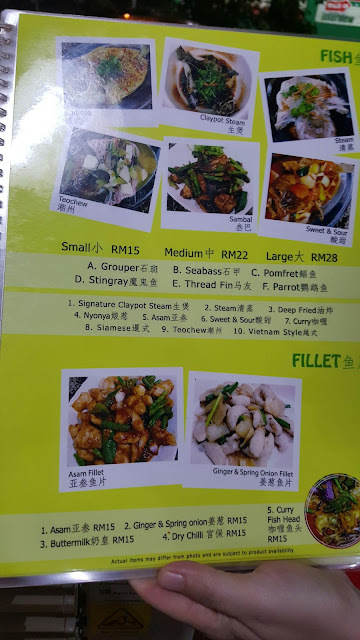 We decided to order their signature Claypot Steam Grouper but only small size available on that day, Boiled Sea Cucumber with Mushroom and Buttermilk Prawn for 3 of us. 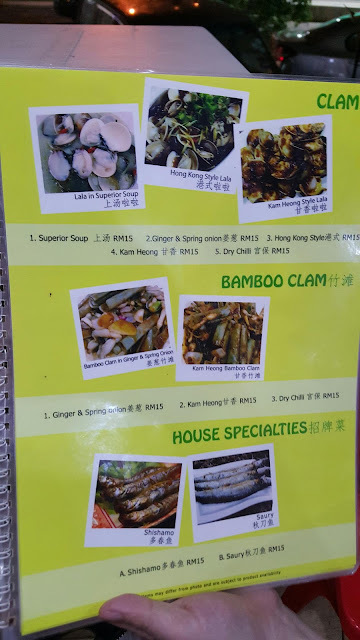 Claypot Steam Fish (Small) (RM15). 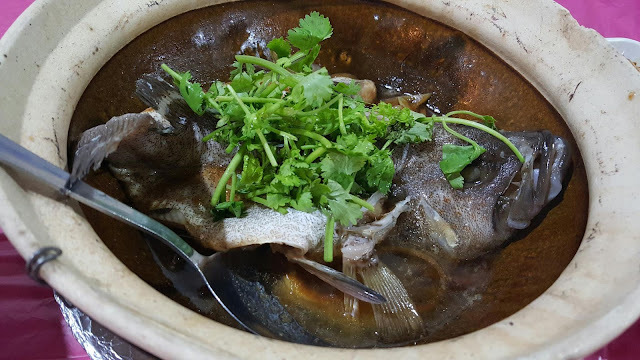 Fresh grouper steamed cooked in claypot with sweet and salty soy sauce, stir fried ginger and shallot. This was the only dishes we thumb up and satisfied with. 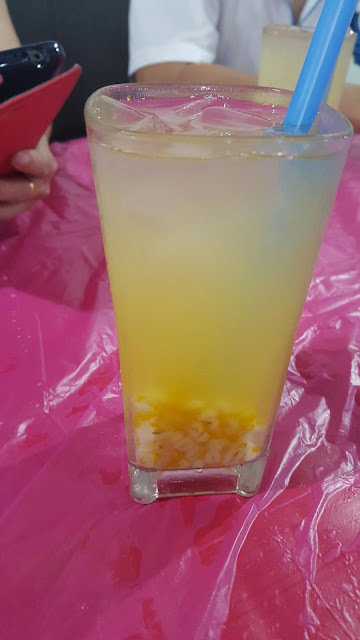 Taste awesome when mix this sauce eat together with white rice. 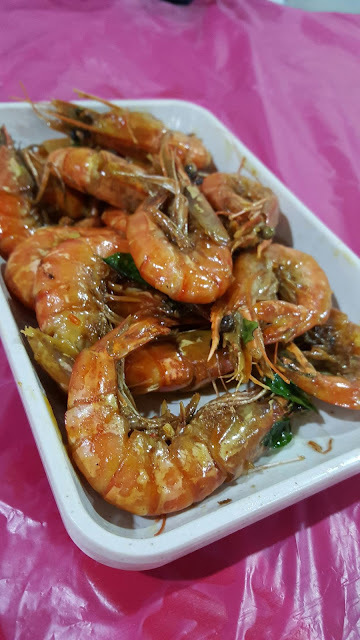 Buttermilk Prawn (Small) (RM 15). 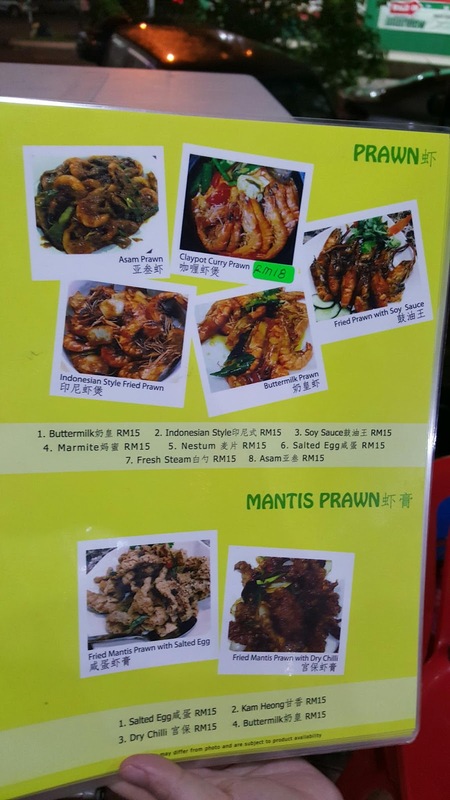 Medium size prawn was not fresh while buttermilk sauce was still acceptable. 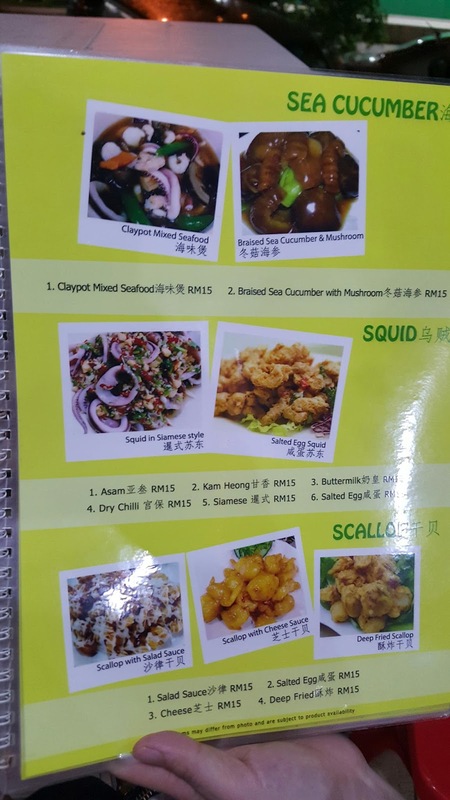 Will try to avoid ordering prawn on my next visit. 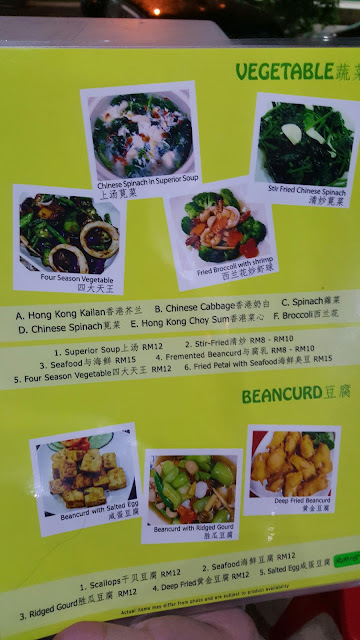 Claypot Boiled Sea Cucumber with Mushroom (RM 15). This definitely a NONO! 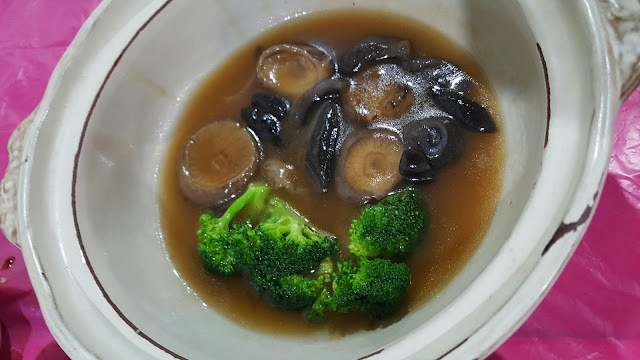 Little pieces of hard chewy weird smell sea cucumber cooked with some mushroom and broccoli in weird taste sauce. We managed to finished this dish by dipping the claypot steamed grouper soy sauce. Pumpkin and Barly Tea. Tasteless. Wont bother to order this again. 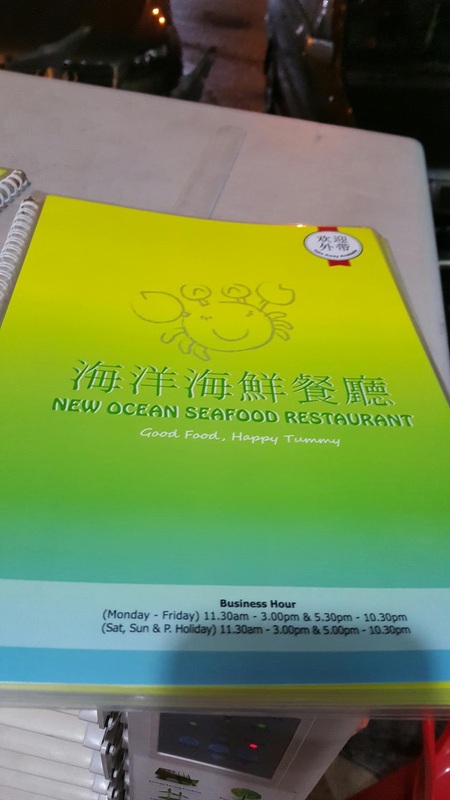 Overall, Ocean Seafood Restaurant was charging reasonable price but food standard and quality was not at par. Very depends on what dishes you ordering. 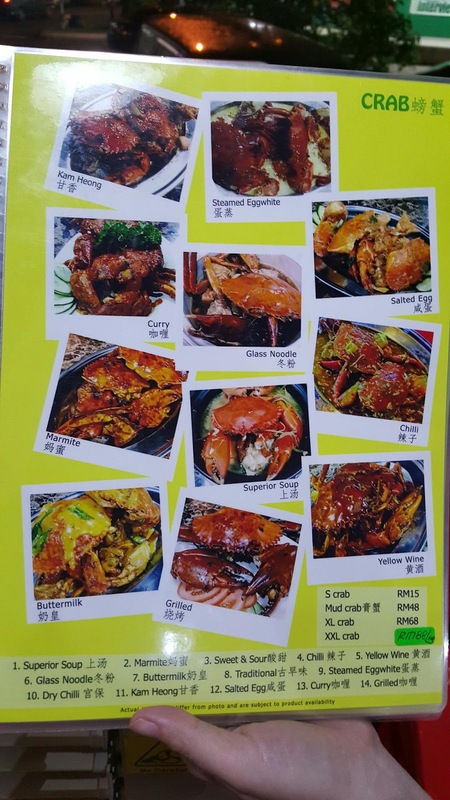 We saw almost every table of customers were ordering Crabs which the price was vary with the crab size. Sadly we were not fans with crab. =( However, I will definately pay another visit for their fishes, scallops, salted egg squids and clams! 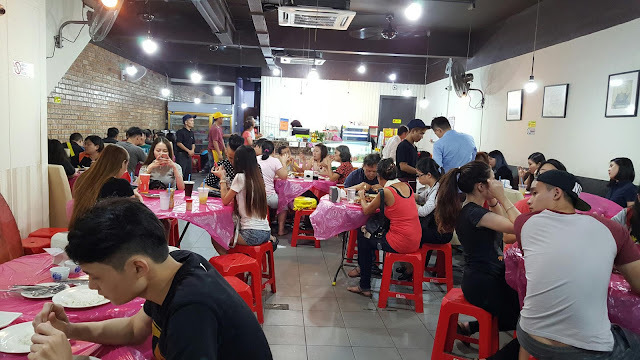 No.21, Jalan Puteri 2/3, Bandar Puteri, 47100, Puchong, Selangor, Malaysia.